FLATBUSH, Brooklyn (WABC) -- Friends and family said their final goodbyes Friday to a college student from Brooklyn who was killed at Cornell University. People paid their respects to 19-year-old Anthony Nazaire's family at his wake at Harmony Funeral Home in Flatbush, Brooklyn. The Ithaca College student was stabbed and killed when a fight broke out after a Cornell University party on August 28. Witnesses said Nazaire was defending his friend. Authorities have not released the name of any suspects. Reginald Nazaire, Anthony's father, said his son was a "law-abiding citizen" who "loved his community and worked hard in school." He said family and friends need closure. 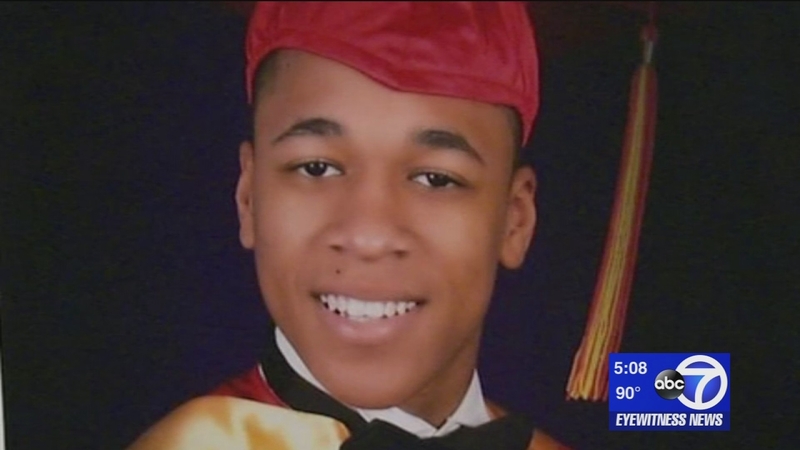 "What we are all hoping for is that whoever killed Anthony is brought to justice," he said. His funeral will be held on Saturday.